The new year is a great time for starting smart: make some food goals, start exercising, and makes steps toward a healthier lifestyle. This post is sponsored by Coca-Cola. I have received an Albertsons gift card as well as compensation for my time spent writing. All opinions are my own. We’re only ten days into the new year but it seems like months, doesn’t it? The newness is starting to wear off. The goals are starting to seem a little less sparkly and fresh. All the more reason to deepen my resolve to starting smart this year! You see, I’ve been exercising every day since December 25th, and though the Pantry Challenge be in full swing, I’m also trying to make good food choices. 2015 was a year of illness for me; I’m looking to turn that around in 2016. While exercise and diet aren’t absolutely going to guarantee me stupendous health, they’ll certainly give me a fighting chance. 1. Leaning toward whole foods, fruits, and vegetables. Last week when I bought groceries to complement foods we already had in the freezer and cupboard, I focused on whole foods, fruits, and veggies. 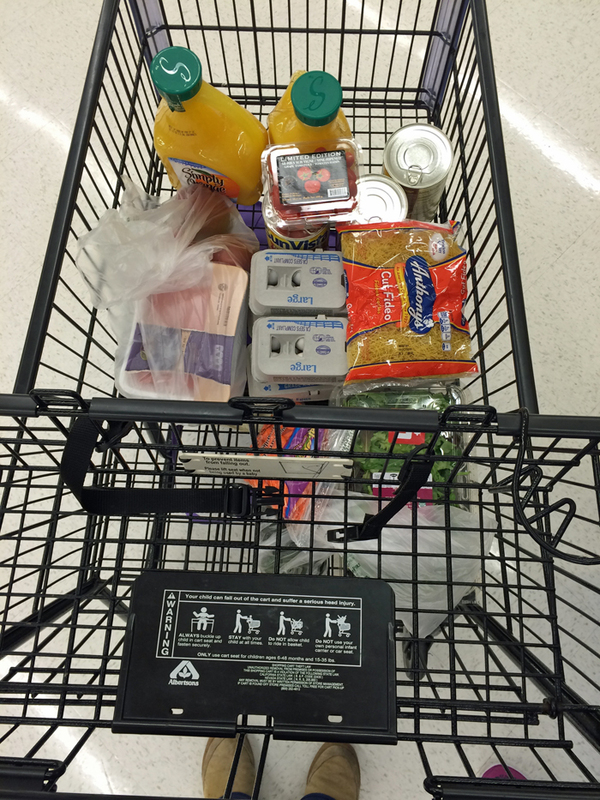 I browsed Albertsons online ad before I shopped and found some great options that fit our budget, including eggs, ground turkey, and beans that were all on really great specials. The quality of the fresh veggies was great. We loved the mangoes, tomatoes, and avocados. And the baby greens were some of the freshest we’ve had in a really long time. Nothing went off before we were able to enjoy it. Yay for fresh! 2. Keeping orange juice on hand. Juice, particularly orange juice, is one of my favorite ways to treat the sniffles. It’s what my dad always gave me when I was a kid. It’s a comfort to me in more ways than one. Simply Orange is a go-to brand for me because we all love the taste. So when Simply Orange (part of the Coca-Cola family) sent me a gift card to shop at Albertsons, and Albertsons had a great sale on orange juice, well, it was a no-brainer. Now we are prepared for whatever life can dish out. I serve orange juice as a complement to breakfast as well as a base for smoothies, making it a surefire hit with all my kids. 3. Making exercise and sleep a priority. The folks at Simply Orange sent me a Misfit Shine fitness tracker over the holidays. I busted it out on Christmas Eve and have been smitten ever since. I’m a points person. I love to be “rewarded”. 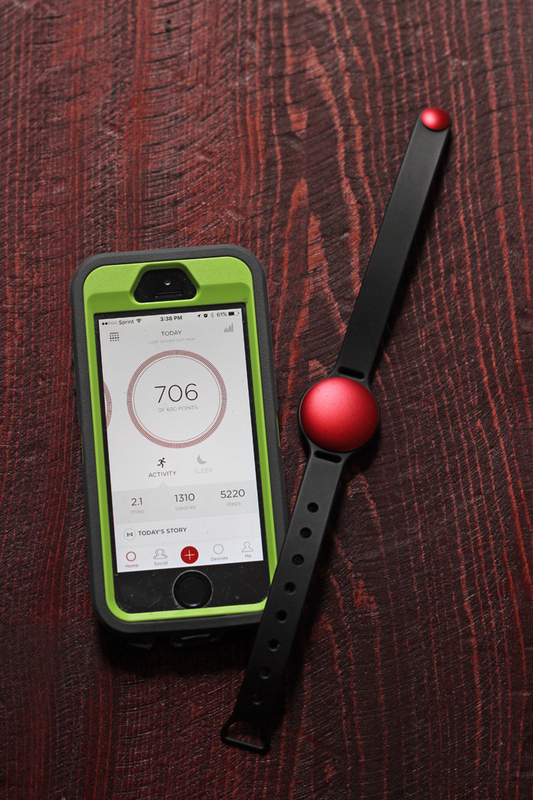 The Misfit Shine gives me points for reaching my exercise goals. I admit, I purposely set a moderate goal so that I could be sure to get more than enough points every day! Haha! 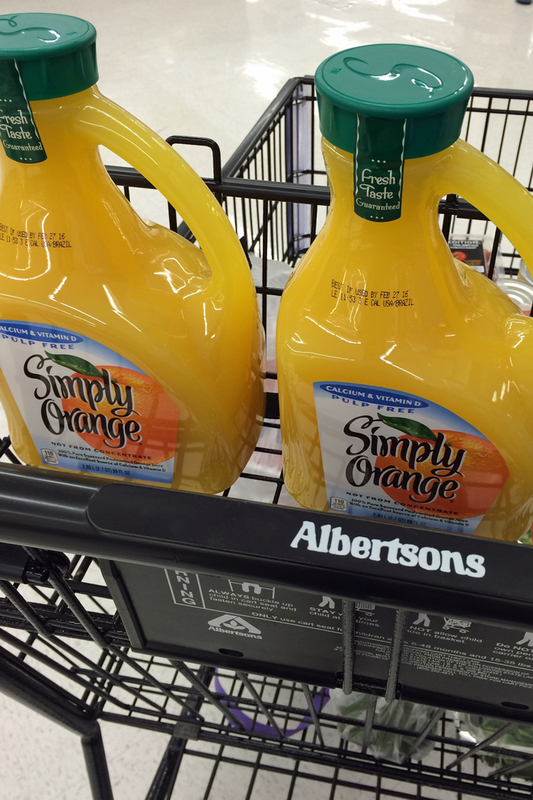 Currently, Simply Orange and Safeway/Albertsons have joined forces in a super fun promotion. 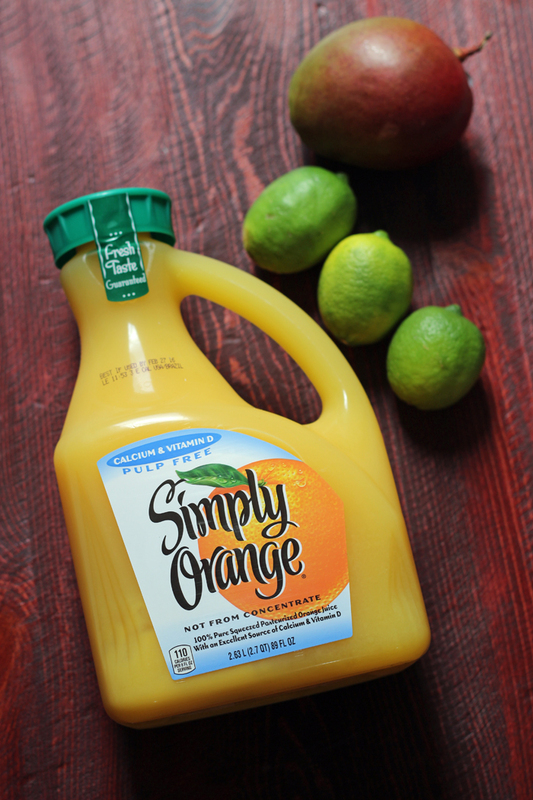 Head here to get the details and enter to win a Shine of your own when you purchase Simply Orange at a store in the Safeway/Albertsons family. I’m ready to #StartSmart2016. Are you? How are YOU starting smart in the new year? I started Trim Healthy Mama last year, and while I still don’t understand all of it I have lost and kept off 26 lbs. My goal is to exercise more. We were given a dog over the holidays so I plan to walk him on the warmer days. It is 15 degrees here in Central Illinois today. Love reading your blogs. Exercise is a great goal! Trying to eat fresh fruit and veggies and keep up an exercise routine. It’s always more of a challenge in the winter. Going to the gym is my goal. I finally went back tonight. It is really hard to back out on a winter night, but it felt good to do it. Can’t wait to go back! I use my Fitbit. I’m trying harder to remember my vitamins and water. Plus I’m eating veggies whenever I can. I can? I didn’t know that. Hmm. I will do that. Thanks!